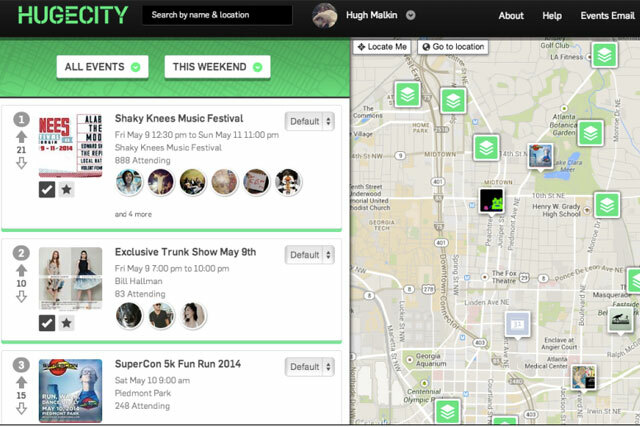 Time Out Group has bought the US-based event discovery platform Hugecity. Hugecity, described by its founders as a crowd-sourced event guide for every neighbourhood in the world, uses Facebook to draw on the preferences of its users and their friends, as well as their locations, to deliver personalised events to people’s computers, tablets and mobile phones. The application has shown rapid growth over the past 12 months, with more than four million events added to it by Facebook users every month. Time Out said its acquisition of Hugecity will support its global expansion and bring in new audiences, as well as helping it to provide event coverage and event information from every city in the world. It will also enable businesses to target consumers globally as well as hyper-locally with events and tailored offers. The company declined to say how much it paid for Hugecity. Hugecity will be rebranded as Time Out World later this month and will be integrated into Time Out’s existing digital offering. Its founders, Hugh Malkin and Adam Wilson, will join Time Out to create an innovation arm called Time Out Labs which, the company said, will enable it to develop new products and ideas for its readers. Malkin said: "We’re delighted to be working with Time Out – they’re an iconic global brand. We can’t wait to create Time Out Labs, to continue to innovate and develop new solutions that we know will help Time Out users make the most of their cities." Time Out was founded in London in 1968, but has since grown into a global media group spanning 50 cities. It now has a monthly audience of 28 million people. Tim Arthur, global chief executive of Time Out Group, said: "This acquisition will help us to continue to expand our digital offering to a much wider audience right across the globe. We already speak to a combined worldwide audience of over 28 million people, but that's just the start. "This move will help us to become the world’s most comprehensive platform of event information and inspiration."